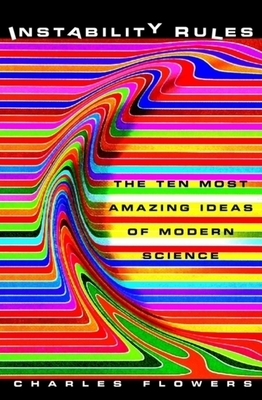 Whether probing the farthest reaches of the vast universe or exploring the microscopic world of genetics and the subatomic world of quantum mechanics, Instability Rules is a remarkably informative and engaging look at ten milestone discoveries and their discoverers-a wide range of very human personalities whose insights have dramatically altered our most basic assumptions about human existence during the last century. The stories include Edwin Hubble and the expanding universe, Alfred Wegener and continental drift, Neils Bohr and quantum mechanics, Alan Turing and artificial intelligence, and James Watson and Francis Crick and DNA. Also covering discoveries of the twenty-first century that are already refining these and other ideas, Instability Rules is an exhilarating, sometimes amusing encounter with the defining scientific discoveries of our age. CHARLES FLOWERS is an award-winning author or coauthor of fifty-eight books, most recently Mapping the Stars, The Big Bang (with David Appel), and A Science Odyssey: 100 Years of Discovery, the companion book to the PBS series.